The University of Cambridge's mission and core values encourage the "pursuit, dissemination, and application of knowledge" generated through research. 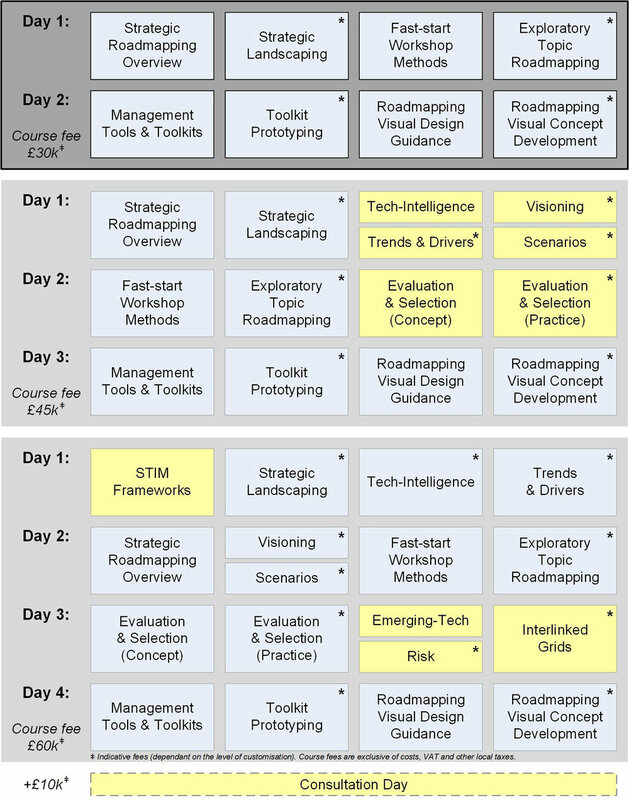 A series of public roadmapping courses are run in Cambridge each year. These include a combination of presentations, discussion and highly interactive sessions to enable participants to gain hands-on experience of the practical methods covered. In-company training can also be provided, based on the public courses, but with the opportunity to customise the content and activities to themes and topics of relevance to the organisation. Building on the long-running two-day public course, a modular programme of options has been developed (see figure below) that includes other related topics - download brochure. 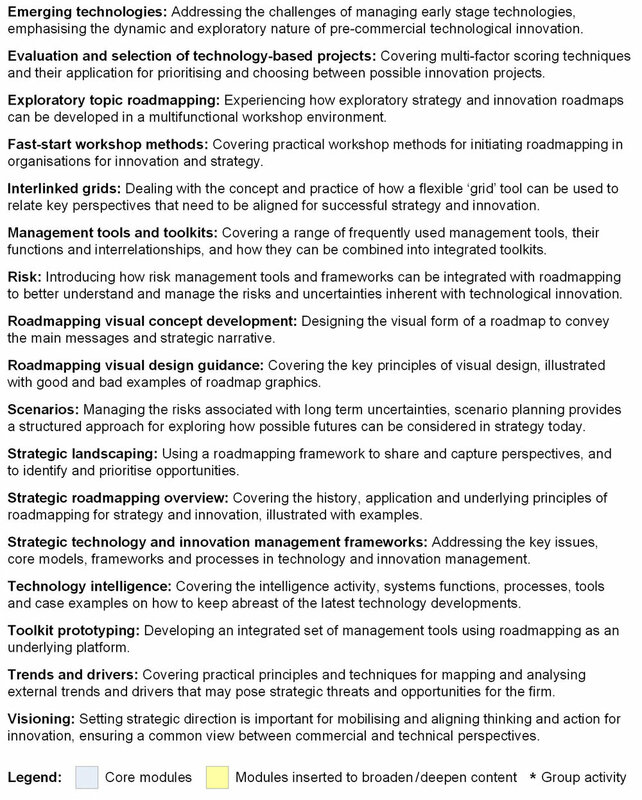 A 'learn by doing' collaborative transfer approach can be the most effective way to build internal roadmapping capability through the development of roadmaps in areas of strategic interest. This is consultant-led, blending in training and other support as helpful. The aim is to minimise consultant effort and maximise transfer. An agile phased approach is advised, iterating and learning fast, reducing risk for all parties. If you have any queries regarding training or transfer support please email me. Disclaimer: The views expressed here are solely those of the author in his personal capacity and do not in any way represent the views of the University of Cambridge.